It is the Americans who are in a hurry to withdraw, not the Taliban. They can outwait them indefinitely. But what about the peace process? From an Indian perspective, Afghanistan turned out to be the flavour of the fourth edition of the Raisina Dialogue at New Delhi, which, compared to other international dialogues, is still in its infancy, given that it was flagged off as one of the three or four universal concerns/hot spots. The presence of the evergreen former President of Afghanistan Hamid Karzai, whose dislike for the US and Pakistan has visibly mellowed; Gen David Petraeus, the key proponent and leader of the US military surge in Afghanistan; Indian Army Chief Gen Bipin Rawat, who threw a bombshell with his advocacy of unconditional talks with the Taliban; and the Nangarhar native Pashtun, Zalmay Khalilzad, in his new role as the US’ points person on the reinvigorated peace process, threw up some interesting ideas. Incidentally, S Khalilzad, in his book, The Envoy: From Kabul to the White House, My Journey Through a Turbulent World, and various presentations had recommended the ‘Richard Armitage’ treatment of Taliban sanctuaries in Pakistan: Bombing them to the stone age. For the transactional US President Donald Trump, cutting the US losses and exiting Afghanistan were pre-election promises, though he was persuaded by the likes of Gen Jim Mattis (now resigned over the issue) to stay the course. Trump’s sudden announcement to de-induct from Syria and reduce US troops in Afghanistan (later rescinded) last month is part of a cost-cutting and burden-sharing exercise. US troops are the most expensive — eight GIs for one jawan — to maintain in the world, given their tail of commodes to chewing gum. But it is also clear that even Trump will not walk out of Afghanistan, given the bilateral strategic security pact with Afghanistan, including the need for retention of bases at Bagram and Kandahar. Trump’s famous but short-lived Afghan policy enunciated in August 2017 is all but dead. From being the villain of the piece and part of the problem, Pakistan has bounced back to being the pivotal player in the peace process. After blaming Pakistan for destabilising Afghanistan, Trump was forced to seek Prime Minister Imran Khan’s help in taming the Taliban. So where is the peace process? Khalilzad has been in the job for just five months. After three failed attempts to get the Taliban to talk to Kabul, he has returned to the drawing board. He must first convince Pakistan that peace and reconciliation in Afghanistan is in its national interest and pressing the Taliban for direct talks with Kabul is indispensable. It is understood that the option of coercion is still available and usable against Pakistan (so far unsuccessful) and against its beneficiary, the Taliban (so far unused). As Mattis failed in his coercive option, it is doubtful if Khalilzad can succeed. Still, Khalilzad has had three ‘good’ conversations with the Taliban; though they have steadfastly refused to talk to the Kabul delegation. The fourth round was postponed as the Taliban, at the behest of the Qataris, rejected Riyadh as the venue for the meeting. It will now happen as soon as Khalilzad is back from China, who, he hopes, will urge Pakistan to play the ball. Pakistan Army Chief Gen Qamar Javed Bajwa is understood to have told Khalilzad that “we want peace and trade with India as well as LoC as the de facto border.” And, of course, “peace in Afghanistan”. Afghanistan’s National Security Advisor Hamdullah Mohib, who was in New Delhi just before Raisina, was sceptical about a positive outcome from talks with the Taliban. He said that the Taliban is not a monolithic organisation and is fractured down the middle. He feels an intra-Afghan dialogue, which has not been held, must be a precursor to talks with the Taliban. According to him, different groups from many factions in the Taliban have so far been sent for talks in Moscow, Abu Dhabi and Qatar. “We’ve had contacts with the Taliban, including proximity talks at Abu Dhabi”, he added. Karzai, too, endorsed Mohib’s views but emphasised the centrality of Pakistan, adding “whatever the deal with Pakistan, it should not undermine Afghan sovereignty.” “The Taliban are Pashtuns, our people, and they have to be engaged in power-sharing” said Karzai. Most countries are in contact with the Taliban. India, which is a legitimate stakeholder, must engage the Taliban because they are Afghans, noted Karzai. The Russians and Iranians are also keen that India open lines with the Taliban who will eventually be part of the Government. But India has been unable to sidestep hesitations of history, which have made its position rigid; though it has shown some flexibility recently. It is willing to support the peace process provided the Taliban adheres to red lines: Renunciation of violence, abiding by the Constitution and ensuring the peace process is owned, led and controlled by Afghans. 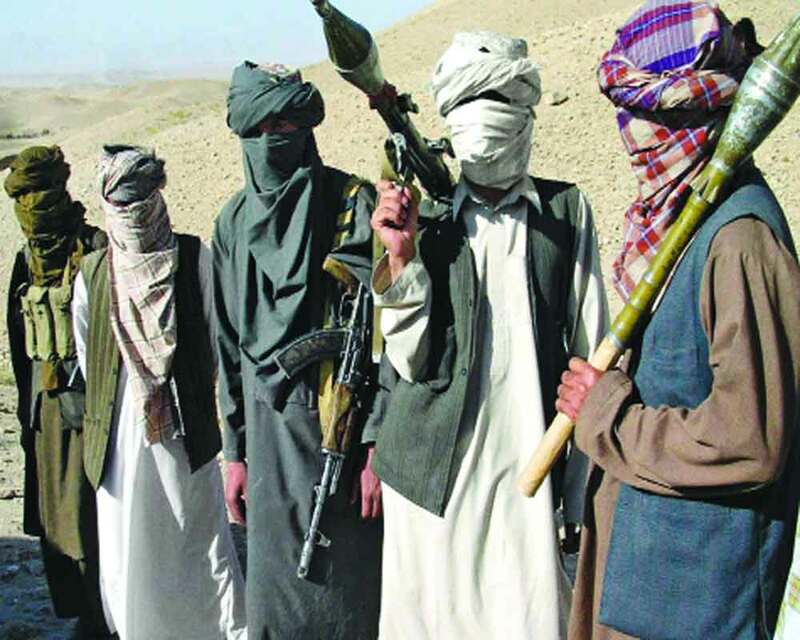 On their part, the Taliban has indicated that it is prepared for power-sharing but without elections. It wants most of the East and North East of Afghanistan given to it on a platter. Its writ runs in almost half the country. This plan is similar to the one suggested by Robert Blackwill of dividing Afghanistan in the middle. The Taliban also wants changes to the Constitution. Further, it has sought a deadline for the withdrawal of foreign forces, lifting ban on the movement of its leaders and sanctions imposed on some of them. Given the barbarity of the Taliban rule in Afghanistan from 1996 to 2001, which was recognised by the UAE, Saudi Arabia and Pakistan, some of its leaders are liable to be charged with crimes against humanity. Karzai admitted that the Taliban attempted to destroy Afghanistan, its culture, history, institutions and role of women in society while trying to impose Sharia’h law. But some Afghans say that the Taliban has mended its ways (doubtful) and 2019 is not 1996. They no longer destroy schools and prevent girls from going to school. Their biggest asset is control over large swathes of territory and retention of the capacity to execute multiple suicide attacks at will. In short, they enjoy on the ground the dominant position and advantage in balance of military power. This gives them a distinct edge in bargaining at the talks table. It is the Americans who are in a hurry to withdraw, not the Taliban. They can outwait them indefinitely. Americans may have the watches but we have the time, this is what the Taliban has been saying for a long time. Trump would like to get most of his 14,000 soldiers back home before the next elections in 2020. Key questions, though, will remain: Who will guarantee the Taliban keeps its end of the bargain once foreign forces leave Afghanistan ? UN peacekeepers? A regional compact on non-interference as endorsed by SCO? Afghans reverting to neutrality? Or a grand bargain with Pakistan? Watch this space for answers.